Padraig Harrington is a highly experienced Ryder Cup veteran player, whose performances have contributed to many of Europe’s victories over the last two decades. Harrington was recently revealed as the European Ryder Cup captain for next year’s visit to Whistling Straights in America. But is he the right man for the job? Is Harrington the Obvious Choice? The first question to ask is whether Harrington is the right choice to captain the 2020 European Ryder Cup team? The answer might be a resounding ‘yes’, but there were other serious candidates in the running who are had strong claims. 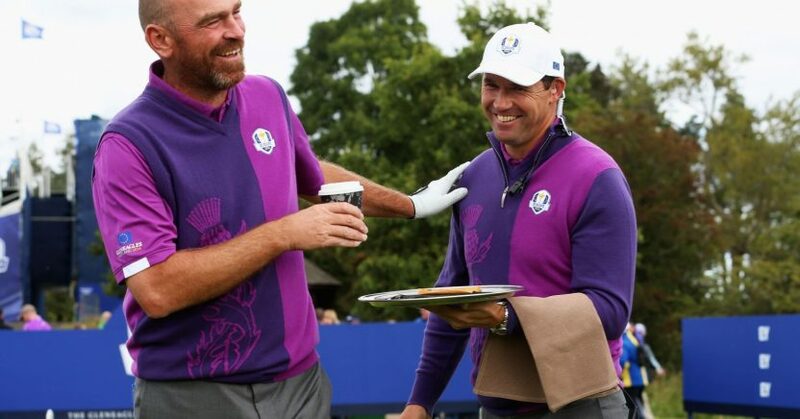 Lee Westwood was a vice-captain for Thomas Bjorn in Paris, but he ruled himself out of contention for 2020 after expressing that he had his eye on captaining the team in 2022 in Rome. He instead backed Harrington as his preferred captain and the ideal candidate for the role. Sergio Garcia was another who might have been considered captain material for 2020, but he said that he is in no hurry give up his playing ambitions, and is currently focusing on getting his game back on track for the Major season. The popular Spaniard, who won the Masters in 2017, saw his form drop off in 2018, but he repaid Bjorn’s faith in picking him a wildcard in Paris by securing 2.5 points for his teams. He looks a certain future captain, but not just yet. Once you rule out the likes of Westwood and Garcia, Harrington indeed became the obvious choice. He has plenty of experience, having appeared six times as a player, four of which lead to European victories, and three times as vice-captain. It is only natural that he would one took the reigns as captain. So, let’s take a look back at some of Harrington’s finest Ryder Cup moments. Harrington made his Ryder Cup debut in 1999, after just four years as a professional, and with just one European Tour win under his belt. He tallied a respectable 1.5 points from three matches at Brookline that year. He even thought he had scored the winning putt for Europe when he beat Mark ‘O Meara 1up in the Sunday singles, until America mounted its legendary comeback and won by a single point. In 2004, Harrington teamed up with Colin Montgomerie. The pair took on a well-matched Tiger Woods and Phil Mickelson, who finished 5-under par on the par-70 South Course. It wasn’t enough, however, and the European double-act managed a total of seven birdies to win 2&1. Harrington earned four points from five matches that year, and Europe went on to win by their biggest margin to date, 18½-9½. The 2006 Ryder Cup must have also been a special time for Harrington, as it was the first, and still the only, Ryder Cup to ever be held on his home soil in Ireland. It was Harrington’s fourth qualification in a row, but he had a tough time at the K Club, only managing to bring back a half-point for his team. Still, Europe crushed America to equal their previous record from 2014, and Harrington could be seen draped in the Irish flag with teammates Darren Clark and Paul McGinley. 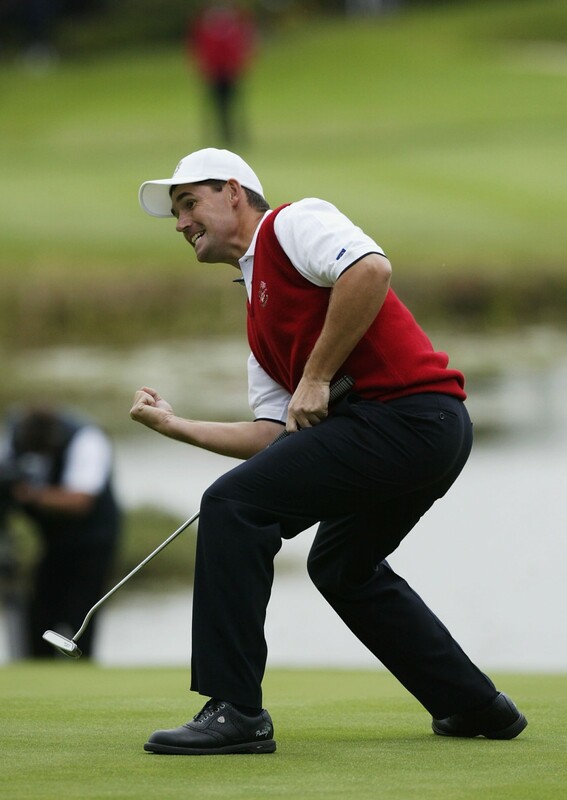 Harrington’s final appearance in the Ryder Cup was in 2010. By then he was a three-time Major champion with 25 professional titles to his name. That’s why it was a little controversial when Harrington nearly missed out on selection for his poor form. He was given the opportunity to join the ranks as captain Colin Montgomerie’s wildcard pick for Celtic Manor. Harrington proved his former teammate right by securing two points for Europe and bringing them to the winning margin of 14½-13½. Since his final year as a player in 2010, Harrington has played a vital vice-captain role for the European Ryder Cup team. Last year he was part of Thomas Bjorn’s backroom team in Paris, which included Lee Westwood, Robert Karlsson, Graeme McDowell and Luke Donald. The next Ryder Cup, in which Padraig Harrington will be captain, will take place on the weekend of September 25-27 on the Straits Course at Whistling Straights. Team Europe are the current cup holders and will be fancied to bring back the cup for the first time since The Miracle at Medinah in 2012.